L/ Certified, CARFAX 1-Owner, LOW MILES - 17,668! EPA 32 MPG Hwy/22 MPG City! Moonroof, iPod/MP3 Input, CD Player, Onboard Communications System, Dual Zone A/C, Keyless Start, ACCESSORY PACKAGE, Aluminum Wheels, Turbo Charged CLICK NOW! Sunroof, Turbocharged, Satellite Radio, iPod/MP3 Input, CD Player, Onboard Communications System, Aluminum Wheels, Keyless Start, Dual Zone A/C MP3 Player, Keyless Entry, Steering Wheel Controls, Child Safety Locks, Electronic Stability Control. BACK-UP CAMERA W/DYNAMIC GRIDLINES, ACCESSORY PACKAGE Cargo Net, Carpet Trunk Mat, Key Gloves, Alloy Wheel Locks. 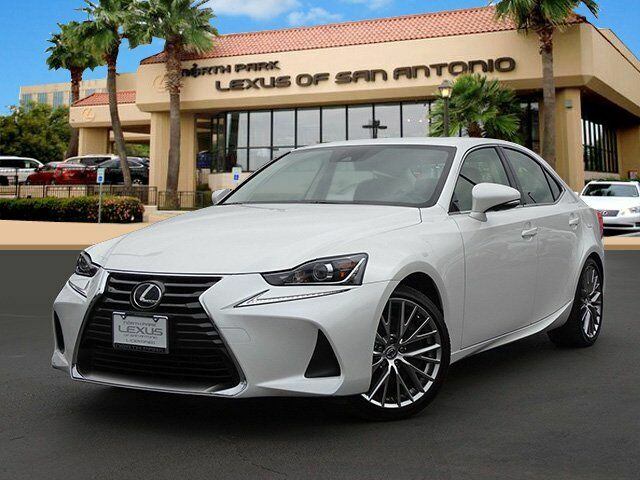 Lexus IS Turbo with EMINENT WHITE PEARL exterior and FLAXEN interior features a 4 Cylinder Engine with 241 HP at 5800 RPM*. Brake Assist, 4-Wheel ABS, 4-Wheel Disc Brakes, Tire Pressure Monitoring System Great Gas Mileage: 32 MPG Hwy. KBB.com explains "Take it to your favorite mountain road and prepare to be rewarded with sharp turn-in and gratifying amounts of handling and horsepower. ".